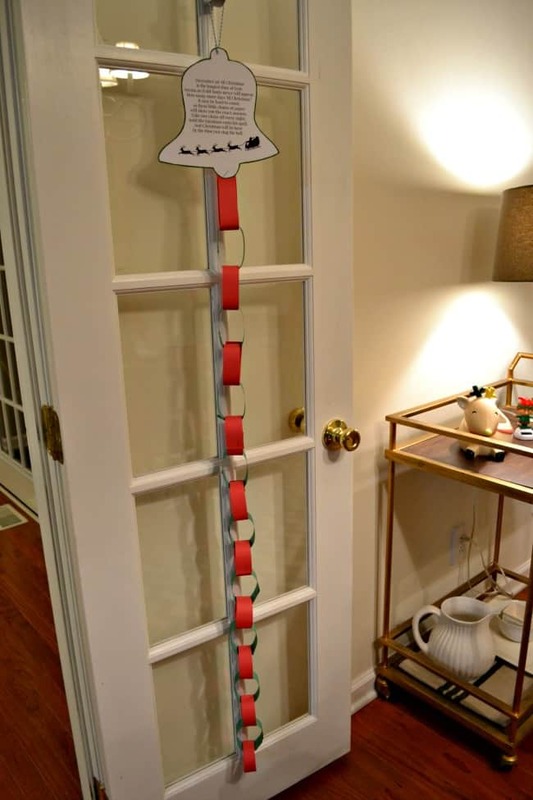 Make this simple, easy paper chain advent calendar to countdown to the big day. Includes a free bell printable! 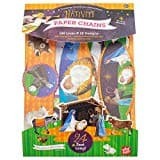 Even if you are just seeing these a few days after the first it is never too late to make a good ole paper chain advent calendar. Still, plenty of days to count down. 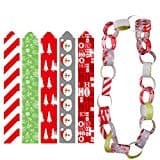 My daughter has done lots of different advent calendars from Hallmark radios and the North Pole communicators to Lego Advent calendars but our favorites are always the old fashion paper chain. Plus they are economical when you are already spending all your monies this time of year. 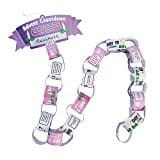 This is the type that I always had as a kid growing up and it was so exciting watching the chain get shorter and shorter. 1. Print and cut out your bell. 2. Cut out your strips of paper. At this point, if you would like you can write some fun things to do each day of the countdown on the strips. Here are some great ideas to get you started. 3. Attach the first piece of paper using a stapler onto the bell. 4. Continue to attach the rest of the pieces using a stapler, switching up the colors as you go along. 5. Punch a hole into the top of the bell and attach the string. 6. Countdown to Christmas by removing a strip of paper each day. 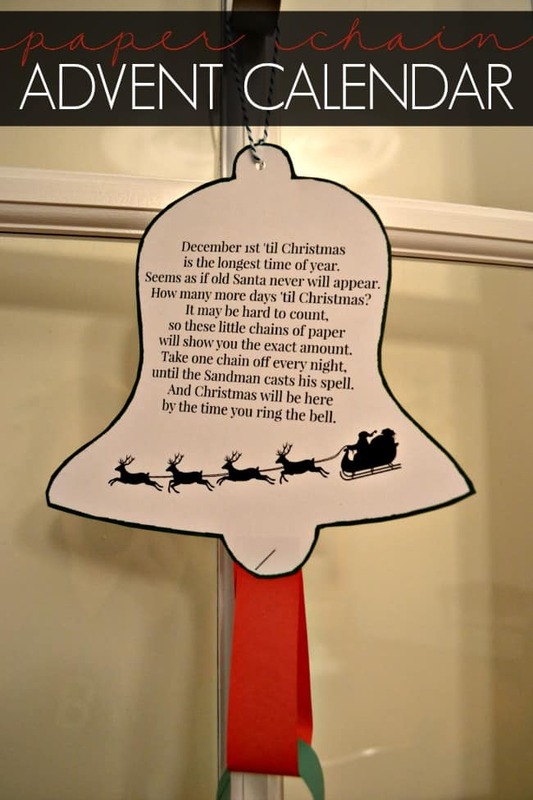 How do you and your family countdown to Christmas? Leave me a comment, I would love to hear about how you and your family countdown to Christmas or all the holiday traditions you would add to the strips each day. Christmas Advent Calendar & DIY Ideas to Countdown to Christmas! I don’t write anything on them. We just take one off each day but you definitely could write a different activity for each day and that would be tons of fun.